"We still have regulations on the sale, volume and pricing of hay." Prime Minister Volodymyr Groysman has said his government is set to cancel 367 outdated regulations and legal acts within the framework of deregulation efforts. "We will cancel them in batches. 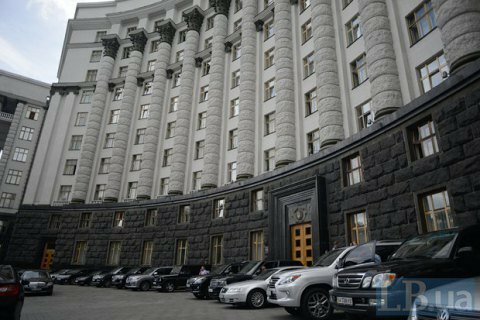 And if a ministry wants a regulation to stay in place, you are welcome to say it from this rostrum," Groysman said as he opened a cabinet meeting on Wednesday, 23 November. First Deputy Economy Minister Maksym Nefyodov said the move first and foremost concerns the "garbage" in the legislation. "For example, we still have regulations on the sale, volume and pricing of hay. But there are also acts which have a damaging effect on business," Nefyodov said. He cited numerous outdated documents that regulate the observance of the long-cancelled Soviet standards, the ban on storage of property in cargo containers and rail cars, or Soviet-time regulations on the storage and repair of spare parts at bus stations, etc. The deregulation will also apply, for example, to easing restrictions on the installation of cell phone towers, simplification of rules in the oil and gas industry, the abolition of the ban on the mixing of varieties of grain. Nefyodov said the сabinet is working on a bill on deregulation, which, "along with today's decision, will allow Ukraine to ascend to the top 30 countries on the World Bank's Doing Business rating by 2018". Overregulation is believed to be one of the biggest headaches for investors in Ukraine after corruption and the inefficiency of the judicial system.